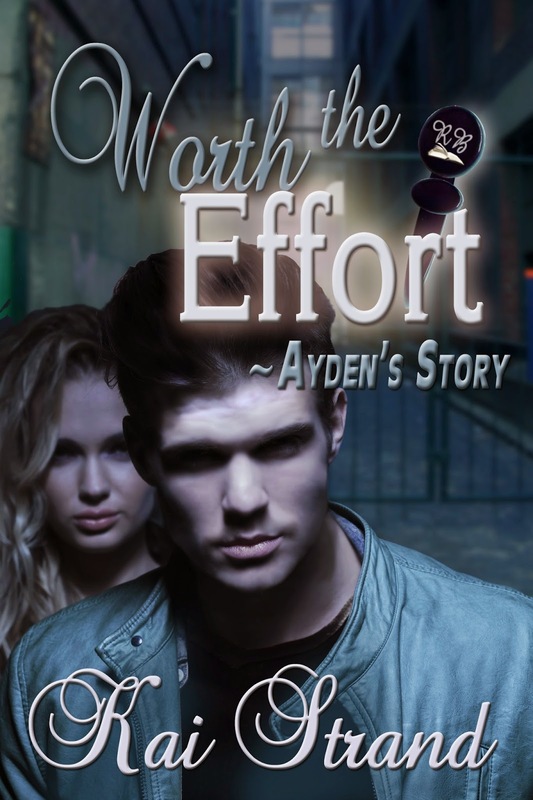 With only days left before the publication of WORTH THE EFFORT: AYDEN'S STORY, I thought I'd give you a peek at the first chapter. For those of you who have read ELLA'S STORY, this opening answers the question of why Ayden was in the alley in the first place. For those of you who haven't read ELLA'S STORY - what are you waiting for?! ELLA'S STORY is told from her point of view in first person, present. AYDEN'S STORY switches gears and puts us inside Ayden's head. He tells his story in first person past. I found the past tense a better fit for his careful personality. The timer in the lower corner of the computer screen showed only five minutes remaining. After saving the document I worked on, I clicked into my inbox. Empty. I drummed my fingers on the keyboard, making the clicking noises, but not actually typing. The lady at the computer across from me glared in my direction, and I stilled my nervous digits. When her gaze took in my unkempt appearance, fear widened her previously narrowed eyes and she shifted her attention back to her own screen. I rolled my eyes. I’m like a spider. Everyone shies away from me because of my homelessness, but in actuality, I’m more afraid of them than they are of me. An email popped into my inbox, and I opened it with lightning speed. I clicked over to the website just as a pop up screen informed me my time was up. Growling at the offending message gained a nervous glance from the lady across from me. I closed out of the Internet browser and scanned the bank of desks under a sign that read REFERENCE, in the center of the library. Only one was occupied and it wasn’t by the person I hoped to see. My lip curled at the empty chair, and I pounded my fist onto the surface of the table. Not too hard. Not psycho hard. Admittedly, the display was intended for the skittish woman sitting across from me. I don’t usually make it a habit to growl like an animal, but the action probably wasn’t too far outside what she expected of me anyway. Sometimes it felt satisfying to confirm a person’s misconceptions. My homework was due that day, which meant I had to find my favorite library assistant. As a volunteer, her login time wasn’t restricted. She loved that I still attended my high school classes through online school regardless of the fact that I lived on the streets. Though not always easy to find, she was always eager to help. As soon as I abandoned my computer, a waiting patron slid onto the chair. I wandered the maze of bookshelves, hoping she was at least on the same floor. Finally, I found her squatting in non-fiction, a rolling cart piled high with books to be re-shelved, sitting next to her. “Um…Ms. Cooper?” I said it quietly, afraid I’d startle her by sneaking up behind her. Clutching what appeared to be a shelf of Asian cookbooks, Ms. Cooper pulled herself to her feet, groaning slightly. Her black bushy eyebrows were a dramatic contrast to her frizzy white hair. You’d expect her to look mean, but her apple cheeks hadn’t deserted her over the years, and they were enough to make her a jolly—though odd—combination of age and youth, grumpiness and cheerfulness. Not being able to sort out her temperament on sight, I never would have spoken to her on my own. It was her consistent kindness that finally broke through to me. Every time she passed me sitting at a computer, she’d ask if I was finding everything I needed. When she saw me sitting and reading, she’d stop to chat about the book. Never for too long, just enough to eventually put me at ease. “Well, we can’t have that, can we?” Her smile was thoroughly open. Admirable for its honesty. I followed her and the squeaky cart to her desk. Shaking the computer mouse to wake the screen, she perched on the edge of her rolling chair, making me cringe—worried the chair would roll out from under her. “Same site as last time?” she asked. I focused my darting gaze back on her and nodded. I stood next to her desk in order to see the screen, but tried not to get too close, so as not to offend her olfactory senses. Living outside made it easy to forget how long it had been between showers or when I last donned a fresh set of clothes. With four walls around me and no wafting breeze, even my own eyes watered sometimes. She typed in the web address for the school district’s online classes. “Hessler,” I said, so she’d know which teacher’s portal address to copy. She opened a second Internet tab and typed in my email carrier. A small smile formed on my lips when she typed in my user name and password without asking for them. Ms. Cooper and I – we had history. In my cloud drive, she hovered the cursor over my documents. “Dissonance and Destruction,” I said, and she right clicked on the title. I didn’t answer, and she couldn’t see my polite smile. I held my breath while the circle that tells you the computer is thinking rotated on her screen. Finally, a text box popped up confirming the document was delivered. It said, “Congratulations!” The exclamation point always seemed like excessive celebration to me. Like a referee should blow a whistle and tack on penalty yards to the next play. “Any more?” Ms. Cooper asked, her eyes bright and hopeful. “Oh, stop with the ma’am already, Ayden. How many times do I have to tell you to call me Ida?” She signed out of my email account and closed all the windows. “At least one more time I guess, ma’am.” Relief over having the assignment submitted allowed me to relax a bit. I was a rule follower, and there was nothing worse for my well-being than something getting in the way of me following rules. Especially rules like due dates. She stood and patted my arm. I wanted to shrink away so as not to offend her, though she had never once shown any sign of disgust. Not like the lady who worked the circulation desk. She always wrinkled her nose at me when I passed. A new anxiety stirred in my stomach to replace my nervousness over a possible late assignment. People. Looking. Too many people darting multiple glances in my direction. Some stared outright, with lips curled or brows furrowed. Others were more covert, yet somehow more obvious, when the whites of their eyes flashed with each sideways peek. I needed to leave. I nodded and practically ran across the floor to the staircase. As I dashed down the stairs, my mind scolded me for leaving without getting a book to read. But the panic I felt from being in a public building overwhelmed my desire to lose myself inside a story, and I scooted through the front doors and into the crisp air. When my nerves relaxed, and I felt invisible again—no longer under the scrutiny of every person I passed—I realized the shadows of the downtown buildings were long. I headed straight to the park to meet up with my friends. A significant number of kids camped together on the public lands just outside of town. Anyone who came to town during the day would congregate near the public restrooms in the late afternoon and walk out to the camp together. I saw immediately the park was already empty. I wandered around town and checked a couple other spots, hoping to run into another stray that might be heading to camp late. As the days grew colder and shorter, no one really lingered like in the summer months. They were too eager to warm themselves by the campfire. With the daylight fading, I didn’t want to make the long walk to camp by myself. Instead, I wandered through downtown, ducking into the recessed doorways of closed office buildings for respite from the wind. I wished I were cleaner so I could stop at a fast food joint, buy a cup of coffee, and sit inside until they kicked me out. 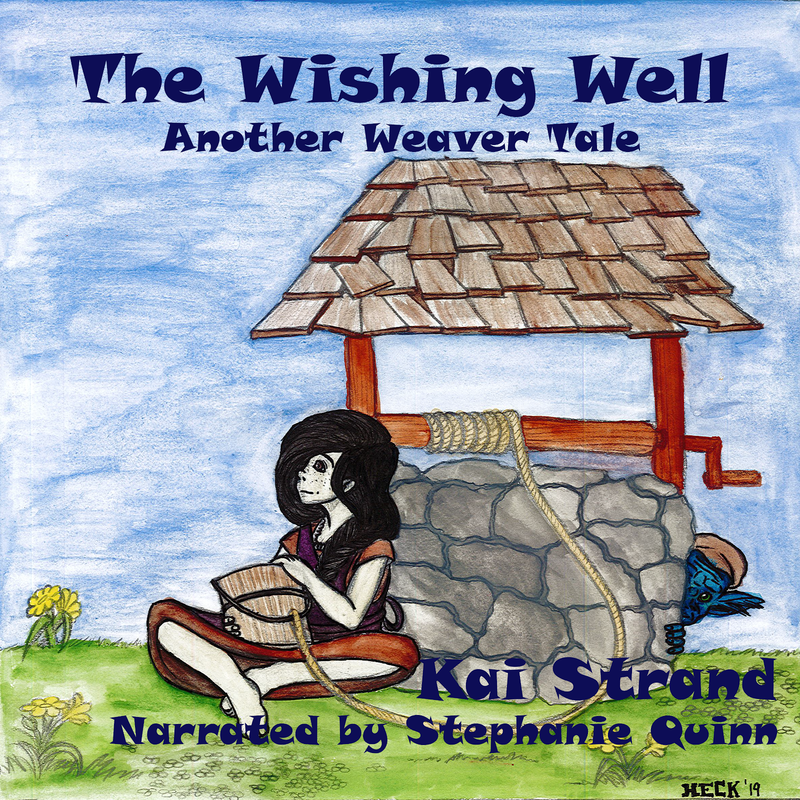 To keep warm, I kept moving, wandering up and down streets, and through alleyways. Late that night, I happened into an alley, deciding it was better than most. Cleaner, I guess. And darker. Bone tired, I curled up in a makeshift corner where a dumpster had been pushed against a building. My thick army jacket kept me from feeling the abrasive texture of the brick wall, and the bulky expanse of the dumpster blocked the wind. I knew I’d get used to the sweet acrid smell of rot soon enough, which was never the case in the summer heat. The improvised nook gave me a sense of defined space, like I was in half a room. I huddled deep inside my coat and drifted to sleep. Early the next morning, the crunching of debris and gravel startled me awake. A girl walked into a patch of light that spilled from a fixture above the backdoor of a café. My sleepy mind admired the bounce in her step. The way her ponytail swished back and forth, her hourglass shape—apparent even under a wool coat. As she shoved a key into the lock, the yellow from the overhead bulb glowed in her hair like fairy lights. A sheen radiated from her pale skin, as if the heavy yellow cascading from the lone fixture couldn’t penetrate such porcelain purity, so it bounced merrily away. She was alluring. I was reminded of images of elves in movies, delicate and perfect. The darkness of her clothing bled into the surrounding shadows until all I saw was her otherworldly profile. I was enthralled. Maybe I was still asleep. Leaning forward to get a better look probably wasn’t the smartest move to make, but I couldn’t help myself. My movement scared her and made her jerk away from the door. The key tumbled through the air before landing in shadows on the ground. Without thinking, I bounded to my feet in pursuit of it. My reaction surprised me, and I remember thinking, What is wrong with you? When I handed the key back, I looked at her face and recognized her. I was horrified. I imagined pulling a Quasimodo and scaling the building with my bare hands to disappear on the rooftop. I wanted to get far away. Pretend she never saw me. I heard her sharp intake of breath. Then I recognized the fear in her wide eyes, the fight or flight stance, and my humiliation became complete. I may as well have had a hunchback and been disfigured. It wouldn’t have been any worse. At least I could have reasoned away her reaction. In that solitary moment, my failure shaped her reaction. My own fear reflected back at me. And I hated myself. Hated. Want more? Don't worry, it won't be long now. Be sure you've signed up for my newsletter so you are alerted to the publication of the story. Also, add it on Goodreads. I'd love to know what you think. Feel free to leave your thoughts in the comments section, or ask a question if one comes to mind. If you love the excerpt please share the post with your friends and family.